With us being in the cold depths of winter (and it’s technically not even Dec. 21st yet) we sometimes find ourselves feeling down from the seasons change. The lack of leaves of trees, going to battle against the icy roads and sidewalks and the emotions that comes with the winter. In light of all this we have Baltimore’s own Mack Scott here to distract us from that harshness. 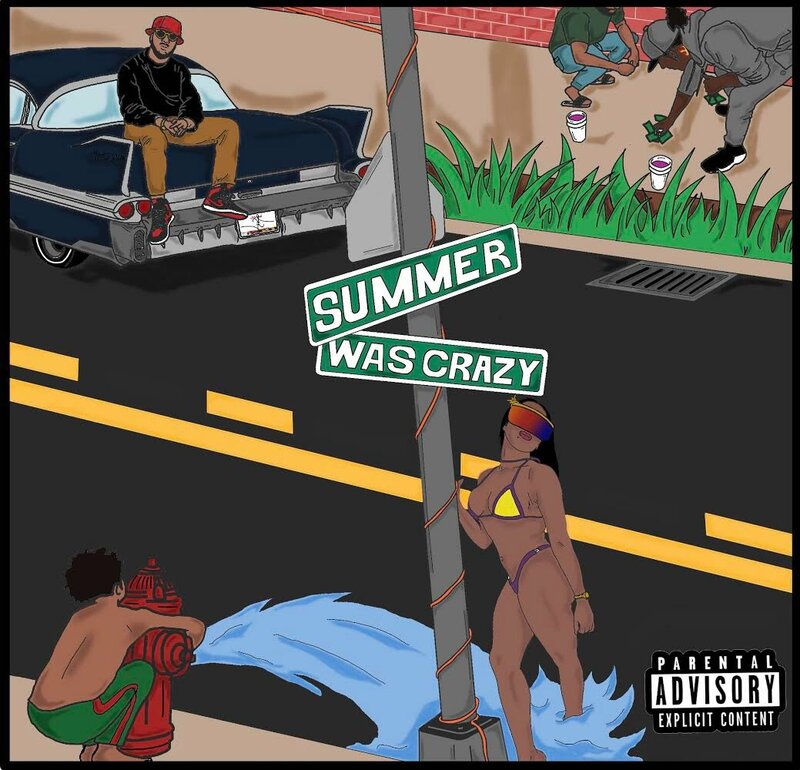 In his album “Summer Was Crazy” Mack provides the sounds and confidence to get you out of this winter funk. Giving us nine tracks of summer music “Summer Was Crazy” doesn’t stick to just one sound. The opener “Game Ain’t Free” introduces us to our hero and immediately pulls us into his world from the jump. It would be one thing to stick to this sound throughout the record but just a few tracks down the line we get “Streetlight”. In his interview with Dead End Hip Hop, Mack mentioned his influence for the album being Pharell and that puts “Summer Was Crazy” even more in perspective. From dance tunes to downright bangers Mack Scott brings all the feelings and vibes of summer to the forefront. Grab your partner, hop in the trunk, fire up a blunt and throw on “Summer Was Crazy” and get away from this harsh winter….it’s gonna be a long one.